Submitted by mahoney on Sun, 02/10/2008 - 9:21am. 5,720 locations throughout the United States and Canada(Including Alaska and Hawaii). Some locations are inside Rite-Aid Pharmacies as they are "Stores Within Stores"...In 1935, David Shakarian realized his dream by establishing a little health food store called Lackzoom in Pittsburgh, Pennsylvania. Shakarian's first storefront was located at 418 Wood Street in downtown Pittsburgh. Lackzoom specialized in yogurt, a food that his father helped introduce in the United States, but also sold other healthy foods such as honey, grains and "healthy sandwiches." Even though "health food" was thought to be a passing fad back then, people embraced Shakarian's store. And, although his first day's receipts were only $35, he was able to go on to make enough money to open a second location six months later. Disaster struck with the 1936 St. Patrick's Day flood which wiped out both of Shakarian's stores but he reopened both locations and went on to own six Pittsburgh area stores within five years. The '60s decade saw many changes and people began to embrace the concept of natural foods and better nutrition. Shakarian met the demand by opening stores in other states. In this process, he also changed the name of the store to General Nutrition Center. As the store count continued to grow, GNC began producing its own vitamin and mineral supplements as well as foods, beverages and cosmetics. 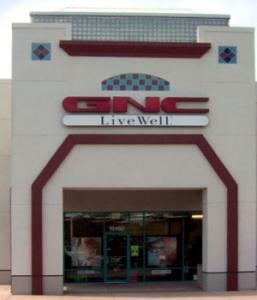 By the early '80s, the number of GNC locations had grown to more than 1,000. Although we lost our founder in 1984, GNC has steadfastly continued to expand upon David Shakarian's dream. General Nutrition Centers, Inc. still has Pittsburgh roots and our world headquarters is located just two blocks from the original Lackzoom storefront. As the largest nationwide specialty retailer of vitamin, mineral, herbal and sports nutrition supplements, GNC operates more than 5,000 retail outlets throughout the United States including more than 1,300 domestic franchise locations, more than 1,100 store-within-a-store locations under its strategic alliance with Rite Aid and more than 830 locations in more than 40 foreign markets including Canada and Mexico.